This stray street cat spent his hours walking around and wondering about the streets trying to find some food, but then he had a great idea! 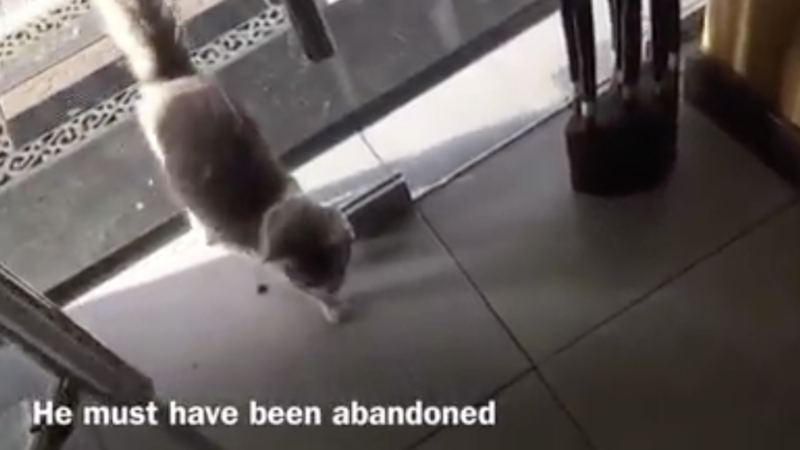 – This smart cat decided to knock on a nearby door of an animal rescue clinic for help! When the staff noticed him begging for help and pawing at the door to be let inside, they immediately let him in. This sweet kitty just wanted someone to love and he came to the ‘purrfect’ place to find love – now he’s going to have a real home soon! 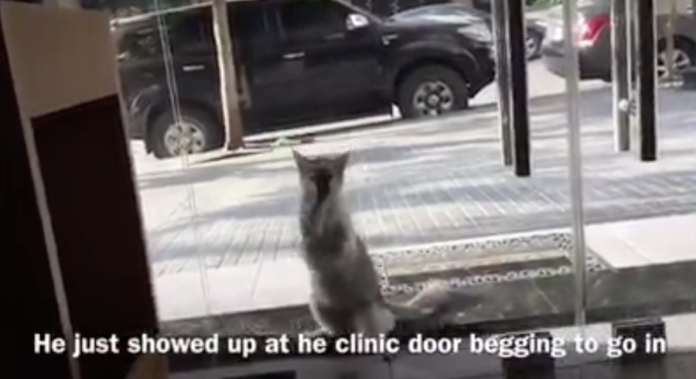 The kitten was seen begging to enter inside – knocking at the front door of the clinic! Somehow this kitty knew just where to go and start knocking! Luckily the kitten came to the ‘purrfect’ place and was let right inside the door! This is so amazing, the cat was needing a home, but found himself at the front door. It was a miracle he found this place and knew to start pawing and knocking! This is SO sweet. This poor abandoned cat rescued himself by coming to this door to knock for help, what an amazing story!